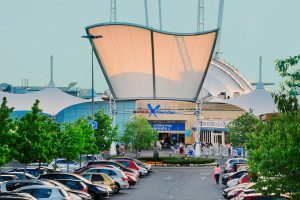 Shopping mall developers have realized that their product’s position in the market allows for the introduction of entertainment in malls as an additional and innovative source of business diversification. This has allowed us to develop the concept of IECs. Similarly, many developers see IECs as a good opportunity to foster tourism in popular urban areas and improve the image of landmark buildings in important cities. Parques Reunidos plans to begin rolling out new IECs in European countries where the company is already active. The Group would subsequently expand into other European countries, the United States and potentially other markets. We currently have on-going projects in Spain, Portugal, the United Kingdom, and the United States. 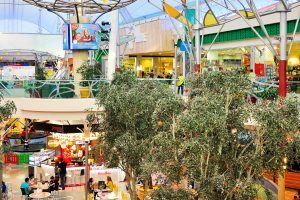 Parques Reunidos offers its services to developers, investors and owners of shopping malls in the design, construction and management of new IECs. We have developed five well-defined concept items which we have created based on our extensive operational track record: a film industry-themed center, an indoor interactive aquarium, Nickelodeon-themed idoor entertainment centers, Discovery-themed indoor adventure parks, and a water park. A content-rich site enabling young adults and teenagers to interact with their favorite TV shows and films such as The Hunger Games, the Divergent Series, Now You See Me, and more. Lionsgate Entertainment City will also have a restaurant and a shop with the most popular Lionsgate products. A content-rich site enabling children to interact with their favorite shows, games and competitions in a trusted environment. Nickelodeon Adventure IECs will also have a restaurant, café, events space and a store. An interactive journey through wild seas, coral reefs and underwater caves. Visitors experience encounters with underwater life and gain a deeper appreciation of aquatic habitats. This aquarium will also have a theatre (event space), a café, a gift store and many interactive and visual spaces. An appealing water park concept for the entire family, offering rides, wave-pools and relaxing spa/resort style entertainment for adults and activity pools for kids. It could be and indoor or outdoor waterpark, or a mix of it. The Water Park will also have a dining deck, themed food and beverages, swim-up bar and spas. Discovery entertainment centers will be themed around topics like nature, space, the oceans, and adventure and will allow visitors to interact with their favorite Discovery brands on a much deeper level through inspired destinations that capture the spirit of adventure and the thrill of exploration. Through the latest technology, these experiences will take viewers beyond the TV screen with one-of-a-kind experiences which encompass key elements of the Discovery brand. 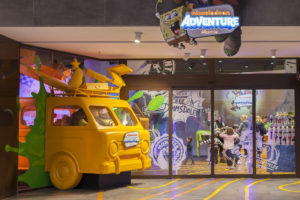 Parques Reunidos, along with Viacom International Media Networks (VIMN), and Eurofund Capital Partners, have reached an agreement to develop the first Nickelodeon-themed indoor family entertainment center in Portugal, which is expected to open in in 2019. This development will be the first operation of Parques Reunidos in Portugal, contributing to the Group’s international expansion project. This new MEC will provide 50,000 square feet of pure entertainment. It will be highly interactive with a large variety of adventure zones, dedicated space for the younger members of the family, numerous attractions and Nickelodeon-themed rooms perfect for birthday parties and family get-togethers. Kids and families will be delighted by the colorful decor and by a variety of experiences, such as character meet-and-greets featuring some of Nickelodeon’s best-loved characters like SpongeBob SquarePants, Dora the Explorer, Teenage Mutant Ninja Turtles and PAW Patrol. There will also be a dedicated food and beverage area and a Nickelodeon retail space. The new Atlantis Aquarium, which will open its doors in the fall of 2018, will be the first aquarium in the world to be located in a shopping mall and to combine the concept of a traditional aquarium with highly interactive activities through state-of-the-arts technology. This new attraction will have an exhibition tank with sea turtles, a penguin exhibit with artificial snow, and a 449,000 gallon aquarium featuring sharks. In addition, visitors will be able to view various species of tropical fish, poisonous fish and jellyfish. The visitor will play an active part in the tour and will become another protagonist in addition to the animals themselves. The visit begins at the lower level and moved along different ecosystems, such as beaches, mangroves, shallow marine waters, and the deep sea. All of them will include installations like multi-content screens, light and sound games, video screenings, 3D/4D/VR experiences, and holograms. These state-of-the-arts technological installations will submerge the public in this new aquarium’s adventure. 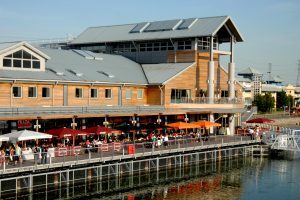 The upper level will also include an educational classroom, an interactive area with underwater cameras, and several “touch and explore” areas where the public will be able to come in close contact with rays and invertebrate. There will also be diving experiences in the main tank and an educational tour of the technical areas from the central tank. Atlantis Aquarium will have a 2,700-square feet restaurant space that will also be open to the shopping mall visitors. This will be the first Nickelodeon-themed family entertainment center in Madrid and will start operations at the end of 2018. This new Nickelodeon MEC will provide 50,000 square feet of pure entertainment in Madrid Xanadú, a mall located on the outskirts of Madrid and one of the busiest and most successful in Spain. It will be highly interactive with a large variety of adventure zones, dedicated space for the younger members of the family, numerous attractions and Nickelodeon-themed rooms perfect for birthday parties and family get-togethers. Kids and families will be delighted by the colorful decor and by a variety of experiences, such as character meet-and-greets featuring some of Nickelodeon’s best-loved characters like SpongeBob SquarePants, Dora the Explorer, Teenage Mutant Ninja Turtles and PAW Patrol. There will also be a dedicated food and beverage area and a Nickelodeon retail space. Expected to open in 2019, this MEC will provide 50,000 square feet of pure entertainment. It will be highly interactive with a large variety of adventure zones, dedicated space for the younger members of the family, numerous attractions and Nickelodeon-themed rooms perfect for birthday parties and family get-togethers. This Nickelodeon-themed MEC opened its doors on December 1st, 2017 at Murcia’s Centro Comercial Thader, a facilty owned by Merlin Properties, one of the top operators of shopping malls in Spain. It is an extensive space designed to bring kids and parents together. Covering 34,000 square feet, the space is equipped with interactive activities, an adventure zone, a space dedicated to younger members of the family, and Nickelodeon-themed rooms, perfect for birthday parties and family get-togethers. 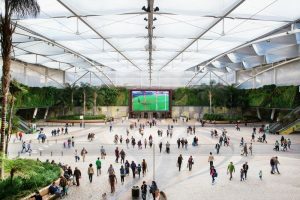 The opening falls within the framework of the strategic agreement reached in March 2016 between Parques Reunidos and Viacom International Media Networks to develop mall entertainment centers featuring Nickelodeon characters. The park is divided in different areas devoted exclusively to all the most famous Nickelodeon characters. Some examples of these spaces are SpongeBob’s Boating School Blast! ; a specific Paw Patrol area including Paw Patrol Fire Engine and Paw Patrol Control Tower; different areas dedicated to Dora the Explorer, The Rugrats, The Fairly OddParents, as well as an animated adventure course themed after The Teenage Mutant Ninja Turtles, where children will enjoy routes through tunnels and over climbing walls. Furthermore, the center includes Nickelodeon-themed birthday celebration rooms, an interactive area, a 4D theater, and educational areas for school groups.